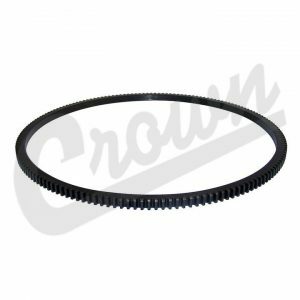 A direct replacement to fit the Grand Wagoneer ( FSJ, SJ )with OE Style Roof Rack grommets that are the insulating grommets that hold a T-25 torx-head screw. The Screws mount,hold & secure the roof rack uprights for the rails. This Direct Fit 12-Piece Grommet Set Is What Seals The 12-Holes In Your Roof & Prevents Any Water & Moisture From Ever Getting Inside & Sealing Off The Roof So It Does Not Cause Any Water Damage. Do you Sagging Headliner Board Assembly-This Is Almost Always The Cause Because The Old Ones Dried Out Over Time & Possibly Even Fell In & Stopped Sealing One Or More Of Those 12-Holes In Your Roof. A direct replacement to fit the Grand Wagoneer ( FSJ, SJ )with OE Style Roof Rack T-25 torx-head screw. The Screws mount,hold & secure the roof rack uprights for the rails and go into the Grommet. This 12-Piece Direct Fit Roof Rack SS Screw Set is ther perfect fit for the Roof Rack Grommets (sold seperately) for Grand Wagoneers , FSJ and SJ Cherokees from 1974-1991. $3.56 each – 12 Needed for the Set. 12-piece stainless steel roof rack torx head screws available now sold as set. Jeep Grand Wagoneer FSJ 1984 -1991 Red & Amber Tail Light Lens for the Australia and European Markets. Amber up top and red below a very hard part to find these days. They are a direct replacement part that are of top quality.